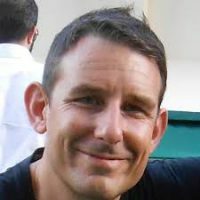 Danny Higgins is Pure's Head Database Architect based in Singapore and covers the APJ region, he's been with Pure since 2014. Prior to developing a taste for all things orange at Pure he spent 14 years working as an Oracle database specialist in the banking industry. He started his career as a developer before working through various roles including Production Support DBA, Database Engineer and Database Architect where he designed and built Private Cloud DBaaS platforms. Danny was introduced to Pure while he was running a program to evaluate Flash Storage for use in Standard Chartered Banks 2nd generation DBaaS platform. This session will examine how the Pure Storage FlashArray//X provides solutions that enable Oracle customers to simplify their complex database environments, save time & money while delivering game changing performance to their mission critical database applications.